With Viper SmartStart, Viper was the first to give people complete connectivity between their smartphone and vehicle to start, unlock, lock and track their cars from virtually anywhere in the world. Today, the 30-year leader in vehicle security launched Viper SmartKey, which provides hands free, keyless entry and exit from a vehicle using Bluetooth technology, controlled from the Viper SmartStart smartphone app. 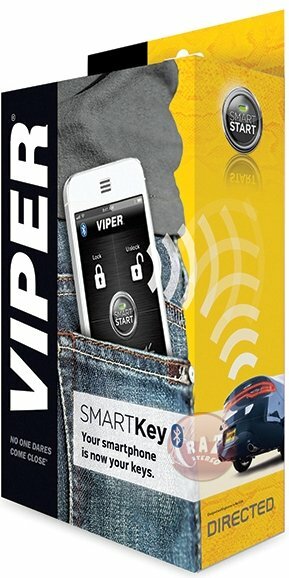 The Viper SmartKey system is available beginning today for $149.99 at Viper authorized dealers nationwide. Viper SmartKey creates a wireless perimeter around a vehicle that responds to a smartphone without pushing any buttons or launching any apps through the cloud-connected technology of Viper SmartStart. Compatible with any Viper security or remote start system, the phone simply needs to be within a given range of a car when entering and exiting to unlock or lock the door. Viper SmartKey is controlled through the latest version of the Viper SmartStart smartphone app (Viper SmartStart v3.2), which is available now for free download on iTunes. The app includes one-touch range programming for passive entry, interactive range display and an advanced system to manage automatic locking when a vehicle is being loaded or unloaded.